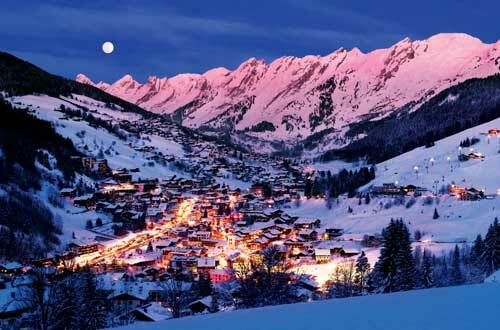 The French Alps is a great destination at any time of the year. In summer time book a mountain chalet and spend holidays walking the well marked alpine trails or for the more energetic rent a mountain bike. 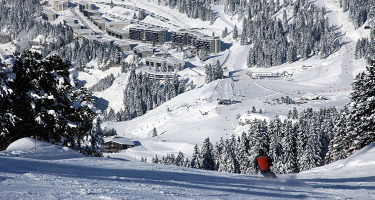 In winter the French Alps becomes a play ground for skiiers and snow lovers with a fantastic array of resorts from world famous chic places like Courchevel , Val d'Isere and Chamonix to the more traditional villages of Megeve, La Clusaz or Morzine. 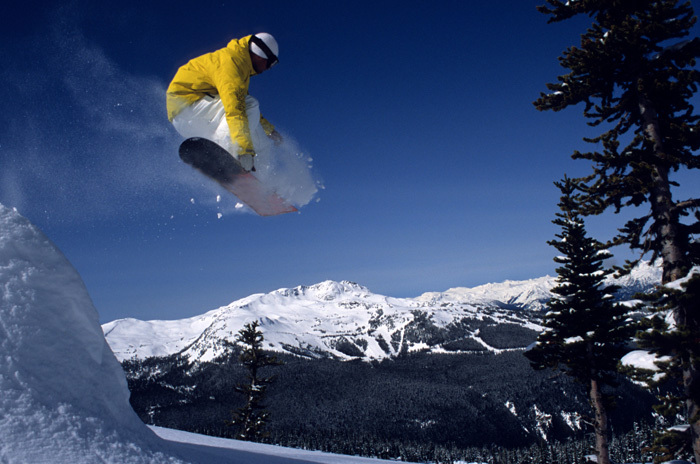 The French Alps boasts more resorts and more miles of superbly groomed pistes than any other country in Europe. And don't forget the wonderful Savoyarde food and wine to make for an unrivalled holiday destination. 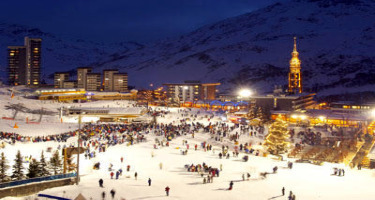 Val d'Isere Accommodation Regarded as one of the best ski resorts in the world Val d'isere offers something for everyone. Alpes-Maritimes Isola 2000 Accommodation Isola 2000 is a man made resort, built in the late 60s and is situated 17km above the village of Isola. There are the basic shopping facilities in the Front de Neige centre. The village has better facilities with some cafes and restaurants. Hautes-Alpes Accommodation If you love the sunshine and mountains then the Hautes-Alpes has to be the place for your next holiday. 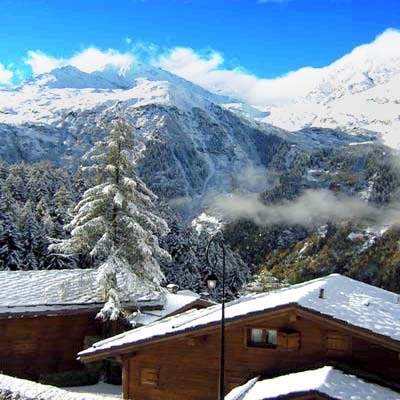 Alpe d'Huez Accommodation Alpe d’Huez boasts magnificent mountain landscapes and picturesque woodlands, with waterfalls and lakes. 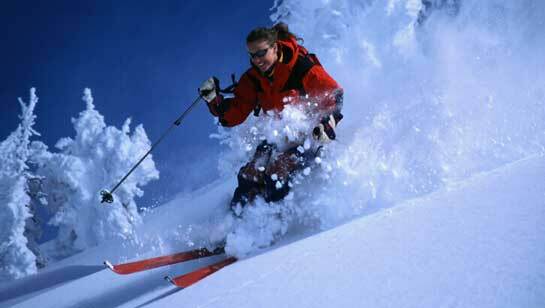 It also offers perfect ski conditions with excellent slopes covered in thick snow. Avoriaz Accommodation Avoriaz is in the heart of the great Portes du Soleil area and its modernism integrated perfectly into the countryside. 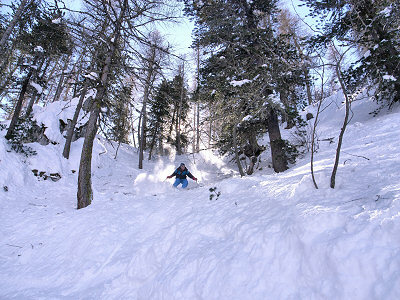 Chamonix Accommodation Chamonix offers guaranteed snow and a fantastic environment. 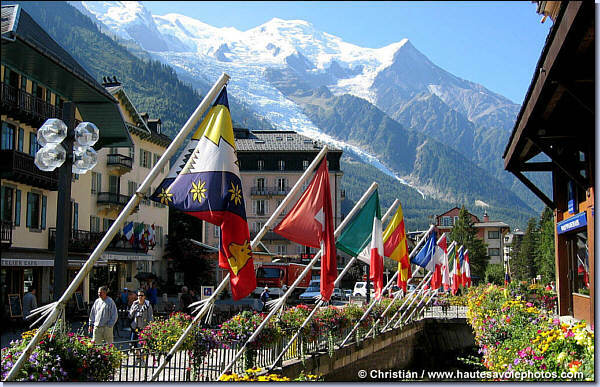 Chamonix is registered on the World Heritage list, is often referred to as the ‘Grand old lady of alpine resorts’ and lies at the bottom of one of the most beautiful panoramas in the Alps. 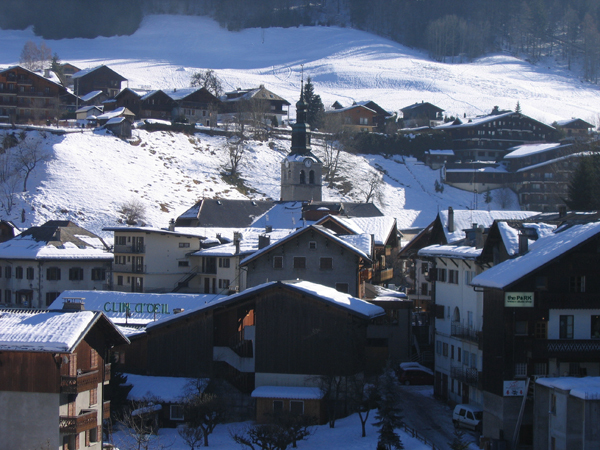 Chatel Accommodation Chatel is a highly attractive village. 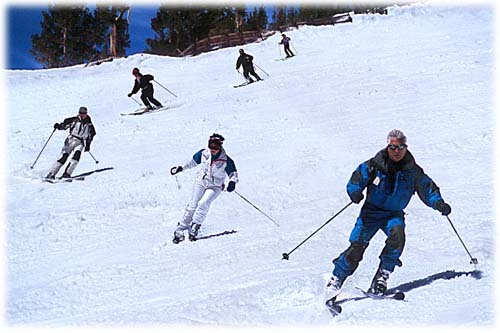 It offers great skiing along with water sports and ball games. 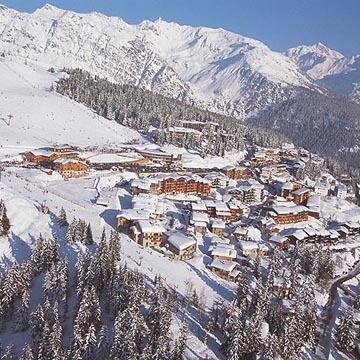 Meribel Accommodation Meribel is at the heart of the 3 valleys – the biggest inter-linked wintersport area in the world! 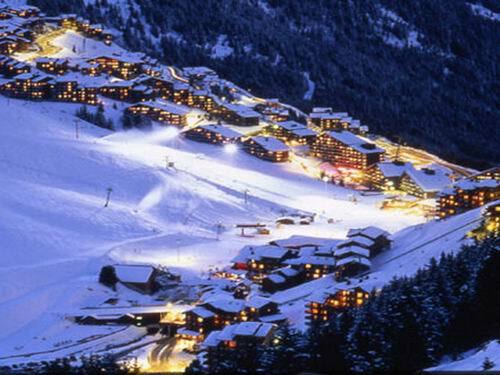 Les Arcs Accommodation Les Arcs has a huge, extremely varied ski area and perfect snow coverage. Courchevel Accommodation Courchevel is set amidst stunning scenery in Les Trois Vallees and has a good range of mountain restaurants. Grand Bornand Accommodation Grand Bornand is a traditional and authentic mountain village with a warm and friendly atmosphere. La Clusaz Accommodation La Clusaz is renowned for its rustic charm, cross country skiing and its 70km of marked and pisted down trails. 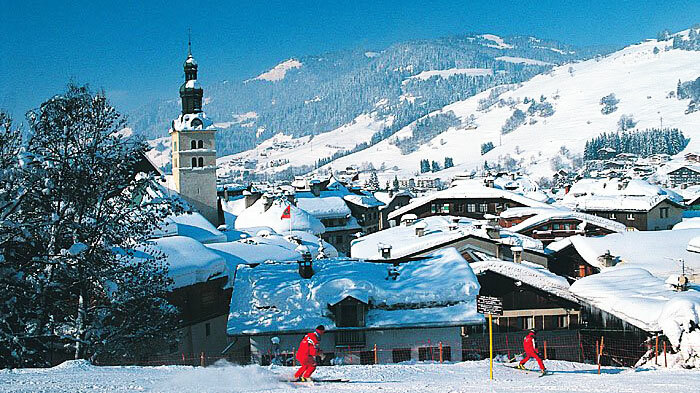 Ideally suited for expert skiers, A quiet old village results in an exciting but crowd free area. 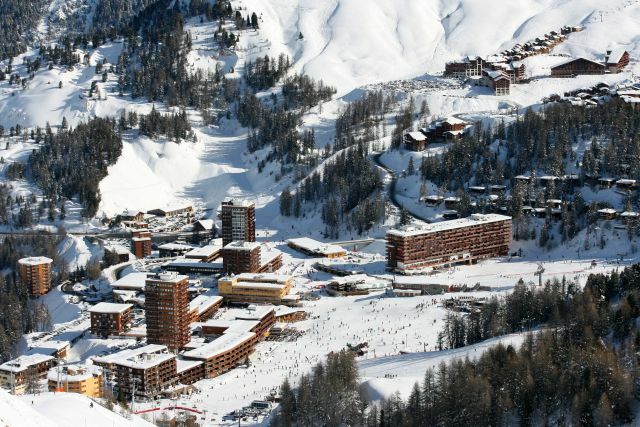 La Plagne Accommodation La Plagne is a large resort, which ranks alongside the Three Valleys resort. 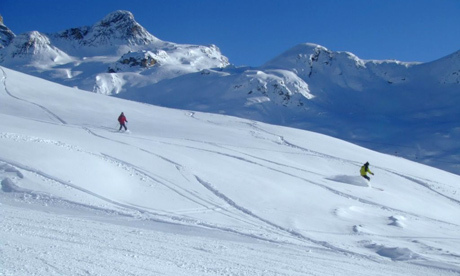 La Rosiere Accommodation La Rosiere is ideal for beginners, intermediates and families. 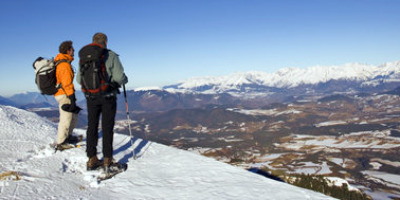 It offers exceptional views, sunshine and good snow. La Tania Accommodation La Tania lies in the heart of a magnificent forest in harmony with its natural environment. 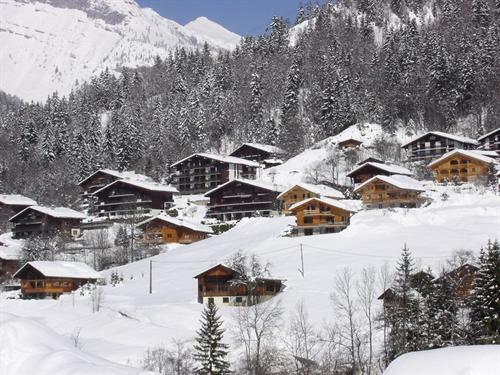 Les Contamines Accommodation Les Contamines has great snow and sun with endless off piste ski options and also offers varied winter sport options including downhill and cross country ski, high altitude and forest runs with several pistes and vertical drops 1000 metres! 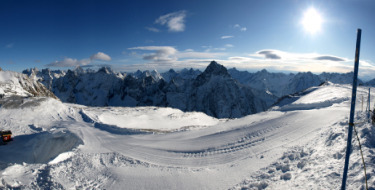 Les Deux Alpes Accommodation Les Duex Alpes has 300metres of prepared and secured couloirs and combs and 2900m of skier crosses with chutes and cliff jumps – and a lot of opportunity for apres ski activities. Les Menuires Accommodation Les Menuires is a relatively old resort with a creative spirit and the construction of a steeple as its symbol. 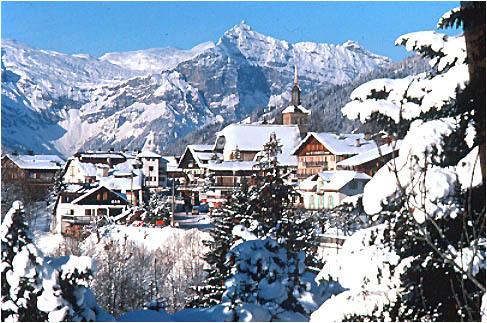 Megeve Accommodation Megeve has 43 miles of marked pistes through fir forests and sunny plateau’s – the perfect setting for alpine and cross-country skiing. 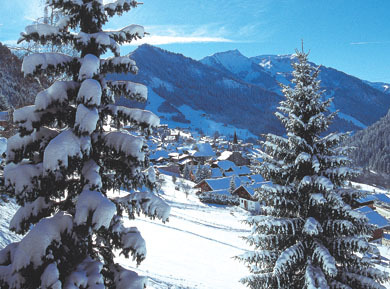 Morzine Accommodation Morzine is in the heart of the Portes du Soleil area and offers a wealth of ski possibilities. 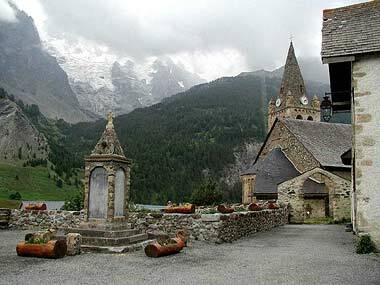 Risoul Accommodation Risoul is located on the fringe of the valleys, of the Queyras and of the Vallee du Guil facing the famous Mount Pelvoux. Sainte Foy Accommodation Sainte Foy is located in a spectacular mountain range just down the valley from Val d’Isere. Serre-Chevalier Accommodation Serre Chevalier combines authenticity with quality with its traditional restaurants, hotels and creperies. 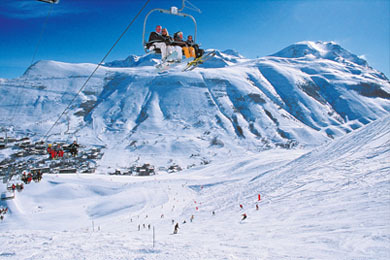 Tignes Accommodation Tignes has 300km of slopes from the Brevieres Village up to the Grand Motte Glacier. 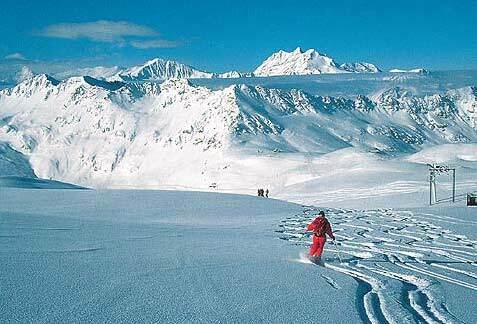 Valmorel has extensive slopes that are suitable for intermediates especially and is a friendly and attractive resort that is also great for families. 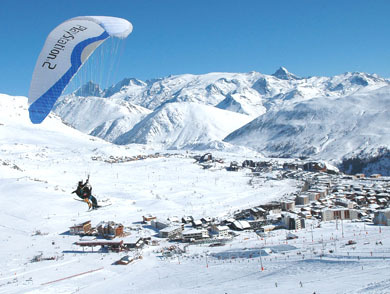 Val Thoren Accommodation Val Thorens is the highest ski resort in Europe and is placed in a circle dominated by 6 glaciers. Savoie Accommodation At the heart of the Savoie region, just near the town centre of Aix-les-Bains, this well-known spa-town (the second largest in France) the Villa Marlioz combines comfort with a professional touch, to offer a maximum of well-being. As it is just 30 minutes from the ski resorts of the Revard and the Féclaz, the most important Nordic ski resort in France, you are free to combine sport and relaxation, as you wish, summer and winter alike. Courchevel 1550 Accommodation A Beautiful section of the French Alpes, Courchevel 1550 offers great accomodation, restaurants, and world class ski runs. Flaine Accommodation Ski resort Flaine is located in France, in the Haute-Savoie region, close to Geneva and the Mont-Blanc. 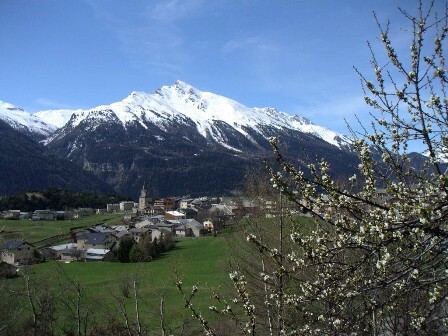 Saint Francois Longchamp Accommodation Saint François Longchamp is a typical alpine village in a magnificent setting, nestling between the Lauzière mountain range and the Cheval Noir massif. It is the ideal holiday destination for a restful stay, combined with exploration of the countryside, for satisfying curiosity and providing wild sensations. 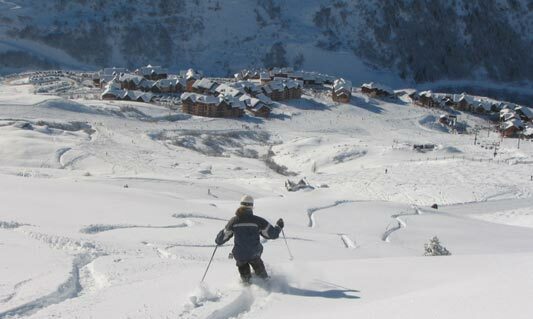 Valloire Accommodation The resort of Valloire is a charming little authentic mountain village, at the heart of the Galibier mountain range, in the southern part of the Alpes du Nord. 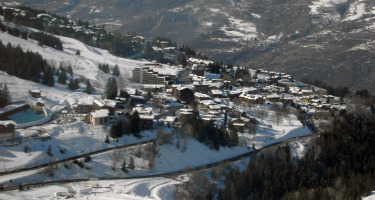 Valmeinier 1800 Accommodation Valmeinier's two villages share slopes which are linked to those of Valloire. Purpose built Valmeinier 1800 attracts most of the visitors, though the lower Valmeinier 1500 was the traditional base. Alpes de Haute Provence Accommodation With an area of 6,935 km2 and just 139 600 inhabitants, Alpes de Haute-Provence is one of the largest and least densely populated areas in France at less than 20 inhabitants per km2. Saint Sorlin d'Arves Accommodation The French ski resort of St Sorlin d'Arves is part of the Les Sybelles Ski Area with access to 128 individual pistes. The Alpina Lodge Residence is located in the main street of Val d'Isere. In 3 minutes, you can walk to the "Front de Neige" departure point which will give you access to all the runs on the Espace Killy domain. At the foot of the residence you have all the food shops, ski rental and fashion boutiques. The tourist office, the cinema and the ice rink are only a few steps away. Located on the most beautiful avenue in Val d'Isère, the Hotel Avenue Lodge combines the art of living, leisure and the exceptional Espace Killy ski area. This elegant Savoyard-style Chalet offers a contemporary, sophisticated and aesthetically pleasing interior. Particular care was taken in selecting the materials used. This jewel of the snows offers a host of delights, including the Lounge Bar, a pro shop, a large lounge area with a fireplace, refined rooms, high-tech comfort and spacious bathrooms. Situated at the foot of the slopes, traditional savoyard chalet with an incredible view of Mont Pourri. Spacious apartments equipped with traditional furnishing. From 55 at 110m2, sleeps 4/6 to 8/10 people. 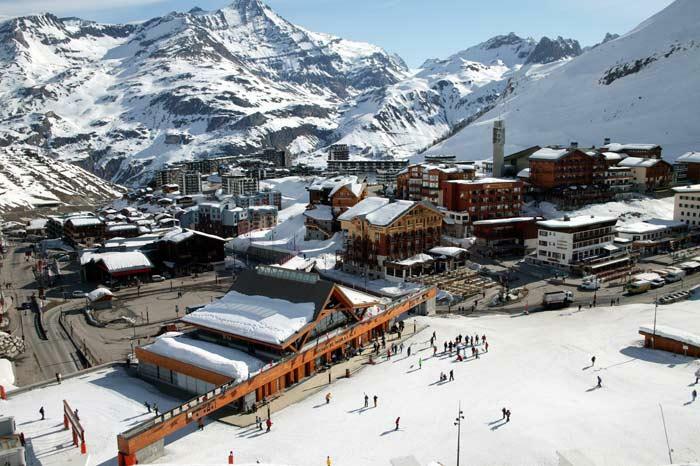 Come and discover the vast ski area ‘Espace Killy’, which is shared between Val d’Isère and Tignes, at the gateway of the Vanoise National Park ! 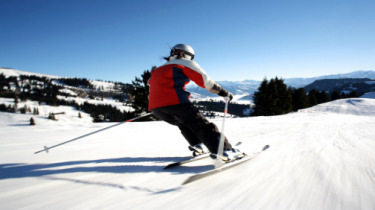 With nearly 100 cutting edge ski lifts and 300km of ski runs, both beginner and expert skiers wil find plenty of enjoyable pistes in one of the world’s largest ski domains. And all this amongst some of the most picturesque landscapes in the Alps. Situated at 2050 m at la plagne soleil, the chalets des alpages benefit from an exceptional situation in the high mountains. The natural setting of la plagne soleil will offer you a complete change of scenery as well as numerous activities such as hiking between the alps and the glaciers. Chalets right on the slopes of Val d'Isere. 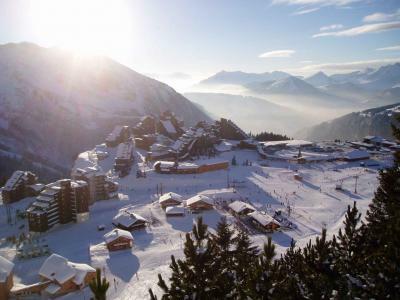 Doorstep skiing to the Solaise mountain and 10 minutes walk to the village. Located at an altitude of 1,850 metres, in the La Legettaz quarter and only three minutes from the Rond-Point des Pistes opposite the legendary Bellevard Piste, the Eureka Val Residence welcomes you to one of its 18 spacious, comfortable apartments. 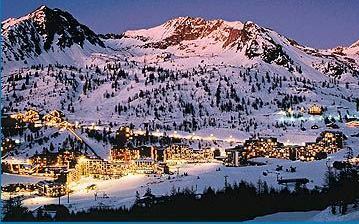 Our 3 star hotel is situated in the heart of Val d'Isere. Located on a quiet street the hotel is 2 minutes walk away from the main lifts and the main shopping area. You will find warmth, friendliness and comfort in our family run hotel. Excellent value Hotel in La Thuile with16 comfortable rooms and ideally situated in the village in a tranquil position. 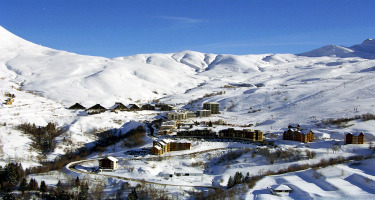 There is easy access to the ski lifts, shops, bars and restaurants. Short 5 minute walk across a bridge to the main ski lifts. Located in the centre of Val d’Isere, close to the slopes, the Christiania, 4 stars, combines the charm and comfort of a mountain Hotel with the elegance of tradition. An efficient and tactful staff invites you to discover the refinements of a prestigious house. 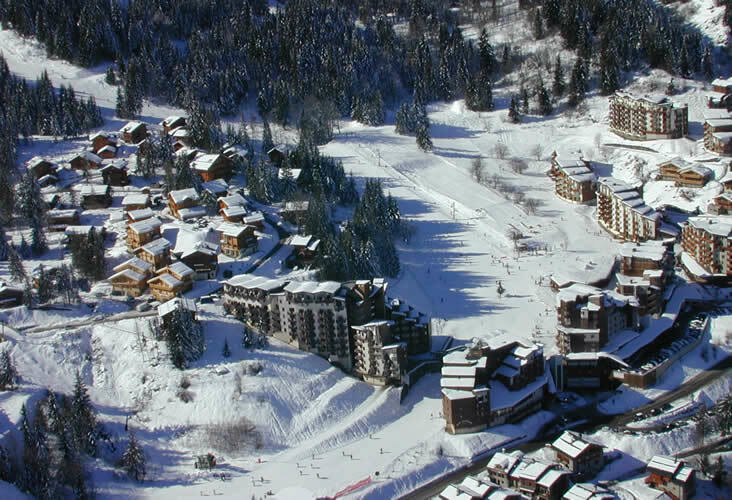 The Hotel Olympic can be found in the centre of Courchevel, just 100 m from the pistes. Guests can benefit from a large buffet style breakfast every morning. A luxury hotel with 60 rooms and suites, the hotel La Farandole is the only 4 star hotel in the ski resort of Les 2 Alpes. The hotel Le Monal has been run for 5 generation, and continues the tradition of a warm-spirited convivial welcome. 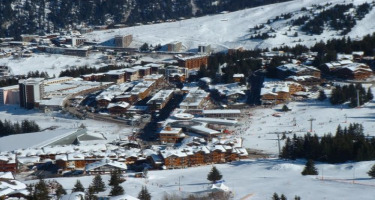 The Hotel Le Mottaret is well situated next to the pistes in a quiet area close to all major conveniences. Inspired by the design of traditional mountain chalets, the Hotel Diva towers above the valley and the Mercantour National Park.